Brien started Swiftcurrent Consulting & Accounting, P.C. in January 2008 after working in public accounting for ten years. Prior to that, Brien spent twenty years working for several manufacturing firms as a controller, CFO, and general manager. Brien has an extensive background in cost accounting, business planning, financial analysis, identifying profit leaks, and strategic planning. Brien and his wife, Carolyn, love the outdoors and the many activities a place like Montana has to offer. In the winter you can catch them on the slopes and in the summer you'll find them hiking Swiftcurrent Mountain in Glacier National Park. A Flathead Valley native, Andrew returned to Kalispell after finishing his Masters degree at Montana State in 2010. 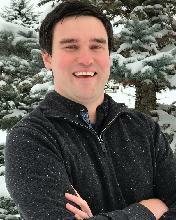 Andrew joined Swiftcurrent during 2014 after working in public accounting for 4 years. His primary focus is partnership, corporate and individual taxation. He has also worked extensively with foreign reporting requirements for US persons living overseas. Away from the office, Andrew enjoys barbequing, golfing, and spending time with his wife and 2 kids.